YoungHort is an Australian wide organisation run by young horticulturists, promoting horticulture as a rewarding career option in Australia. We are aligned with YoungHort UK which has already made stellar progress in the UK to raise awareness of the importance of the Horticultural industry. We both share a common goal of inspiring and enhancing the future of the industry for young people, especially those wanting to progress into a horticultural career. This Australian initiative is made up of Ambassadors, members, mentors and sponsors, that all play a key role in raising the profile and professionalism of the industry to many young enthusiastic horticulturists. Whilst maintaining and developing important links to influential groups and companies within the Industry. Connect with Younghort for fantastic Opportunities in horticulture. 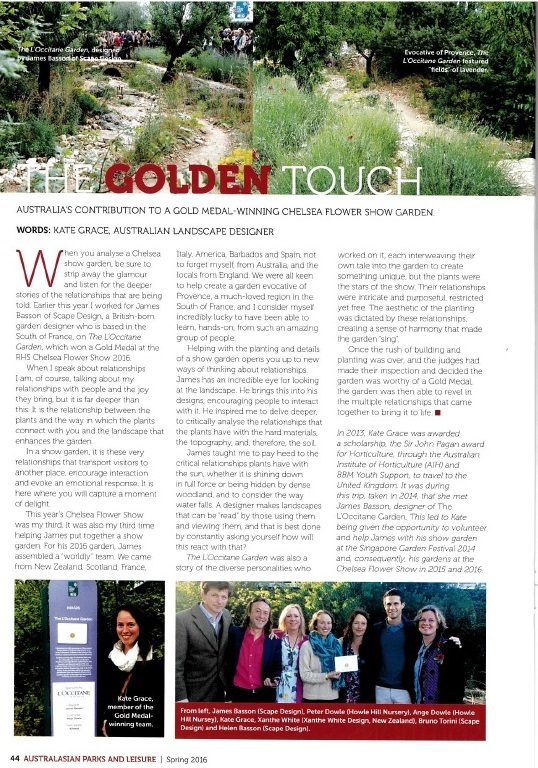 Kate Grace, one of the Younghort team (and AGC Board member), has now traveled to the UK twice, to work at Chelsea Flower Show. Here is a report published on her efforts in 2016.